Since hearing about their plans I have been patiently waiting to be Emma and Lee’s Caswell House wedding photographer. Their wedding day was simply incredible. A visual feast of beauty, happiness, laughter and a few tears. Caswell House is a stunning venue in Oxfordshire with beautiful grounds that are perfect for taking couple photos. It was great to return to Caswell House and knowing Emma and Lee a little I knew it would be a ball. Fortunately keeping my fingers crossed for sunshine worked well, although we had a little rain the day was a stunner. Especially for the few beautiful couple photos we took out in the cornfield. You might remember seeing Emma and Lee on the blog from their engagement shoot in Surrey. Their wedding was equally as beautiful. I don’t even know where to start with writing about it so I’ll let the photos do most of the talking. 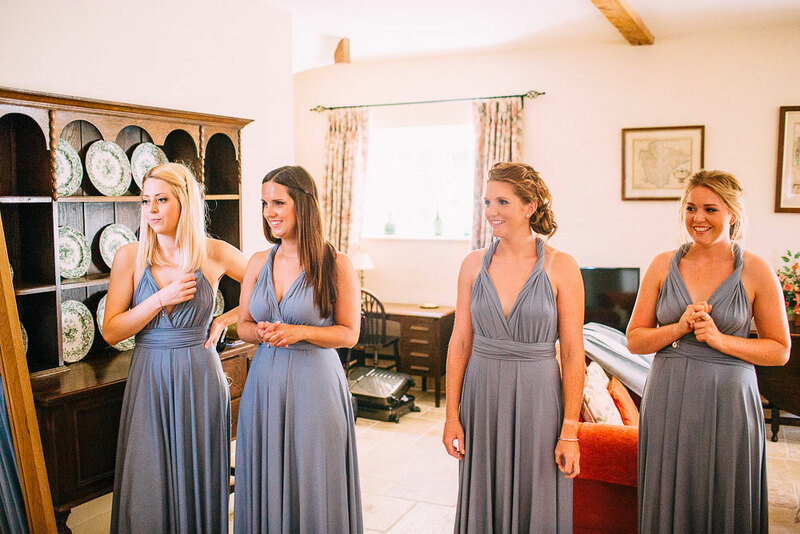 Emma wore a beautiful Suzanne Neville gown, supplied by The Mews in Clifton Village. Top bridesmaid Kitty Brenninkmeijer did an amazing job beautifying Emma before the ceremony. Lee didn’t look too bad either in his Paul Smith suit and just in case you’re wondering a family friend made that wedding cake! It was great to be there all day. Starting early and capturing the transformation of the venue. Helped by family members who hung bunting, and did all sorts of tasks to personalise Caswell House. Decorating Caswell House was a family effort and I arrived early to take plenty of photos. Staying for the crazy dance floor photos was pretty awesome too! Thank you both so much for having me cover your wedding – I wish you all the happiness for the future. I hope these wedding photos bring it all back for many years to come! Love them all Bert. So much personality. Really brilliant! Amazing wedding! Love your shots Albert ! That first dance shot and the last shot are really something else. Great job! Simply amazing!!!! such great storytelling, and I adore the confetti pics!!!! Brilliant work Albert, your storytelling it just amazing, looked like an amazing wedding, covered to perfection. Well done dude. Everything is so pretty! That little venue is so lovely. She’s such a beautiful bride. That moment where they have to share a napkin to wipe away tears is so sweet! You do really lovely work, Albert.